Children are hungry to learn about the world. Storybooks are rich with teachable situations, but sometimes an informational book is better at satisfying a child’s curiosity. Some children may even prefer a factual book to a story of make-believe. Often the non-fiction books that are simple enough for pre-school children are a combination of fact and fiction. They have a gentle story line that acts as the backdrop for introducing accurate facts. Once you find a book that you like, be sure to check out other books by that author. • “Lily’s Garden of India” by Jeremy Smith, illustrated by Rob Hefferan. Lily has an amazing mom who has a garden filled with plants from all over the world. Lily learns about each of the plants in the Indian section and learns all about the culture of that country. More description of the plants is in the back of the book. Illustrations are playful and colorful. •“The Ugly Vegetables” by Grace Lin. This endearing story is about growing Chinese vegetable plant seedlings and sharing them with the neighbors, who share back with the harvested vegetables. Learn about all of these unusual vegetables and them make soup using the recipe included. • “Just Behave, Pablo Picasso” by Jonah Winter, pictures by Kevin Hawkes. A lively story about the artist Pablo Picasso told at a level for children about how he pushed convention and painted what he wanted to paint, not what he knew would sell. “The chief enemy of creativity is good sense!” Picasso was heard to say. • “Secret Seahorse” by Stella Blackstone and Clare Beaton. 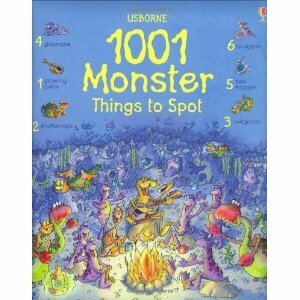 Rhyming text tells the story of looking for seahorses, while introducing the reader to life on a coral reef. Elaborate creations of appliquéd felt with sequins, beads and trim illustrate a coral reef and all the animals and plants living there. • “Fire! Fire!” by Gail Gibbons describes everything to do with fire fighting equipment. This is just one of the multitudes of books this author has written for pre-schoolers and early readers describing how things work. • “Pizza at Sally’s” by Monica Wellington. Primitive illustrations in primary colors with some collage of photographs show how a pizza is made. Tomatoes for sauce, wheat for flour, milk for cheese, stir, knead, chop, assemble, and bake! Recipe included. Talk, Sing, and Read Aloud! Talk, talk, talk to your son or daughter starting day one of your child’s life! Children learn what words mean and how to communicate by hearing words spoken, so keep up the chatter all day long. Talk about what you are doing as it happens, ask questions about what your child is doing, and of course, read books aloud. The more words a child hears in his or her first two years, the more neuron connections are formed in the child’s brain so that he or she is better wired for the years of learning ahead. Reading aloud introduces words to your child that you may not use in your every day life, so books are an easy way to feed your son or daughter a diet of new words. Your child can learn about dragons and kites, oceans and clouds, elephants and volcanoes. There are worlds of information and wonder in children’s books. When you read aloud, point to the objects in the pictures as you say the words of the story; change the pitch of your voice to be dramatic so that your child is captivated by the words you read; and read the same books over and over again if your child wants to listen. As your child’s vocabulary develops, he can tell you his needs, feelings and ideas. She will be able to communicate with you! 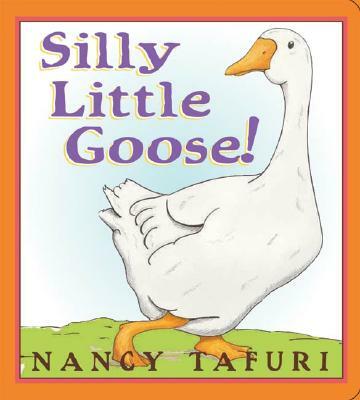 “Silly Little Goose” by Nancy Tafuri describes a goose’s search for a place to make a nest, but the illustrations offer an opportunity for lots of discussion. Why is the goose silly for trying to make a nest with the pigs? Why can’t the goose stay with the chickens? Children can use their imaginations when listening to the book “Little Cloud” by Eric Carle to see the shapes that clouds could be. Point out the real clouds in the sky and connect the book’s words to what is happening outside. “The Little Fire Engine” by Lois Lenski is the story of a day in the life of Firefighter Small. From the “ding-ding” of the fire bell to the “ooo-o-WEEE-ooo” of the siren, your child will love making the noises in this book with you and will be learning all the words that describe the life of a firefighter. Every child needs to hear the words “I love you!” To know from the earliest age that you are unconditionally accepted and that someone is taking care of you, that someone loves you, gives you the confidence to learn and grow. Love is the foundation for a child to build a healthy self-esteem and feel like the world is waiting to be explored and enjoyed. Tell your children “I love you” and teach your children to say “I love you” too, so that it is a natural part of the way your children express their gratitude for the other people in their life. If you need ideas on how to say to say you care, read some children’s books to find the words. “I’ll Always Love You” by Paeony Lewis, illustrated by Penny Ives. Alex’s mom assures him that she will love him no matter what, but Alex is worried when he accidently breaks her favorite bowl. Will his mom still love him now? Gentle text shows the unconditional love of a mother for her child. This is a very reassuring story for young children with softly sweet illustrations. “How Kind!” by Mary Murphy. The animals on the farm prove that one good turn deserves another as each of them does something kind for the next animal, proving that “what goes around, comes around.” Young children will understand the idea that sometimes love is expressed as kindness to others. “The Story of Ferdinand” by Munro Leaf, illustrated by Robert Lawson. This may not immediately come to mind as a love story, but the main character, Ferdinand the bull, has a very loving mother! The message of this classic tale is “accept yourself for just who you are.” Ferdinand was not like the other bulls in the pasture. He was peaceful and quiet as a young bull and then also as a large, full-grown bull. His mother, a cow with a big bell strapped to her neck, was completely understanding of Ferdinand being happiest when alone smelling the flowers, which helped Ferdinand feel fine about being different than the other bulls. What a nice mom! 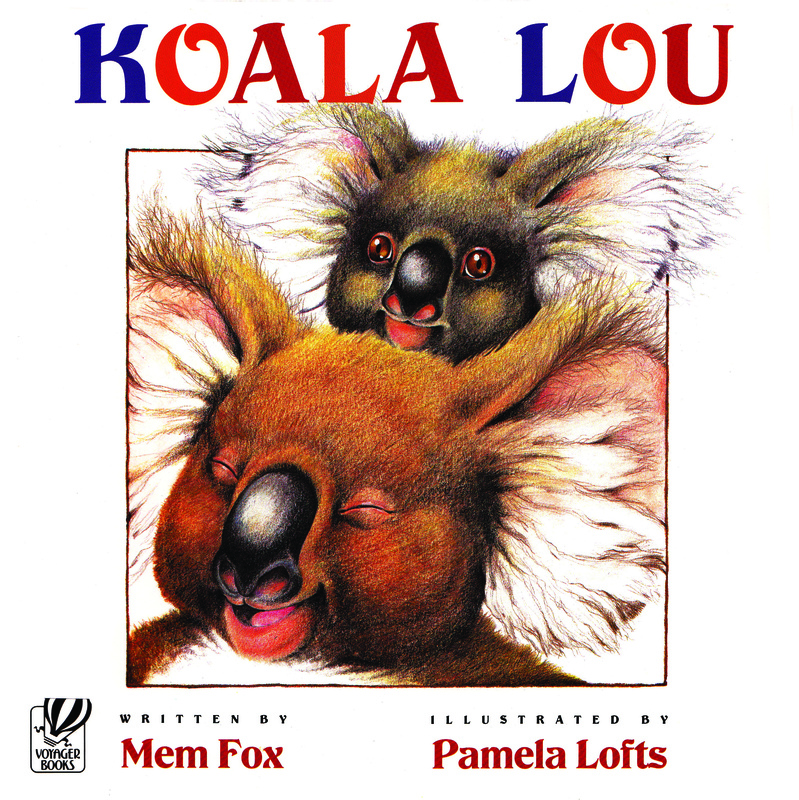 “Koala Lou” by Mem Fox, illustrated by Pamela Lofts. Being the first born in the family, Koala Lou was used to getting lots of attention and hearing her mother tell her “Koala Lou, I DO love you,” every day. After her brothers and sisters were born, Koala Lou’s mom was too busy to say “I love you” any more. Koala Lou started feeling unloved and concocted an elaborate scheme so her mother would say those words to her again. In the end, as we would hope, Koala Lou finds out that her mother DOES love her, no matter what!